Crest Pontoons utilize current technological changes in materials and processes, bringing you a high quality pontoon boat. 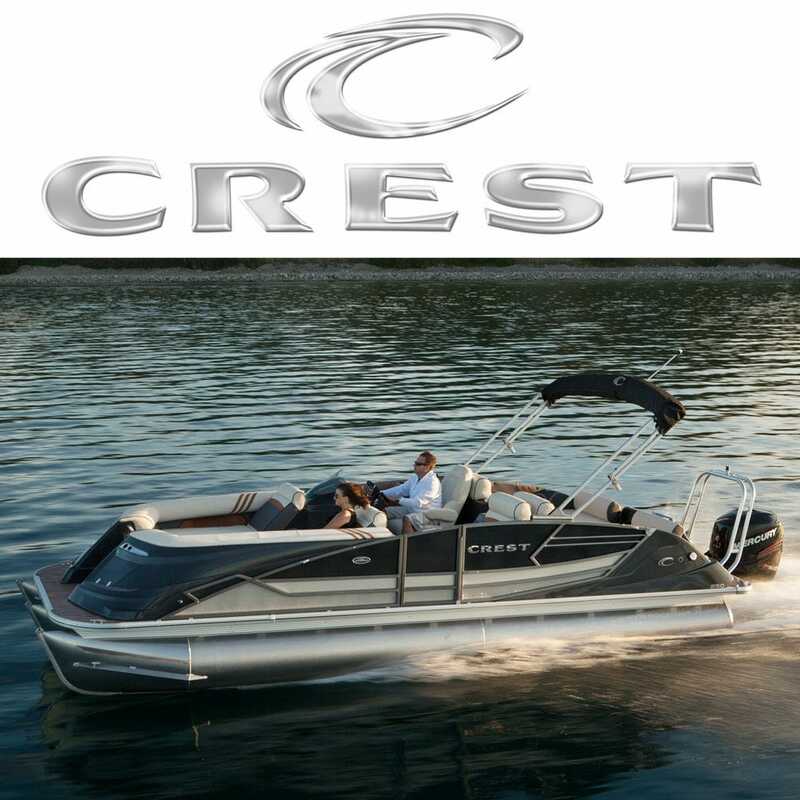 Crest Pontoons offer an extreme level of quality, safety, style and comfort. With their new Caribbean and Classic models epitomizing the six Crest pillars of excellence. Crest is the smart choice. The six pillars that drive Crest Pontoons are structural superiority, innovation, style, comfort, precision and performance. Whether you are looking for pontoon boat parts, pontoon furniture or pontoon tubes, you will find OEM discount parts for your Crest Pontoon right here at Great Lakes Skipper. Enjoy browsing our online catalog of genuine OEM Crest Pontoon boat parts and accessories!